I love Mumbai a lot. 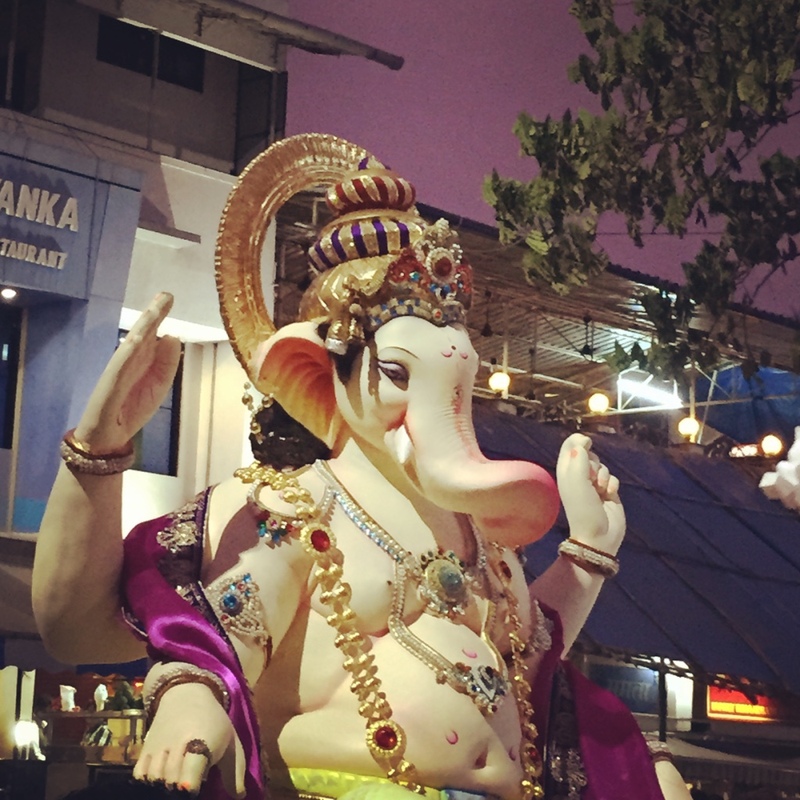 There is something so delightful about its people, culture, food, local trains, shopping and Ganesh Chathurthi of course ! 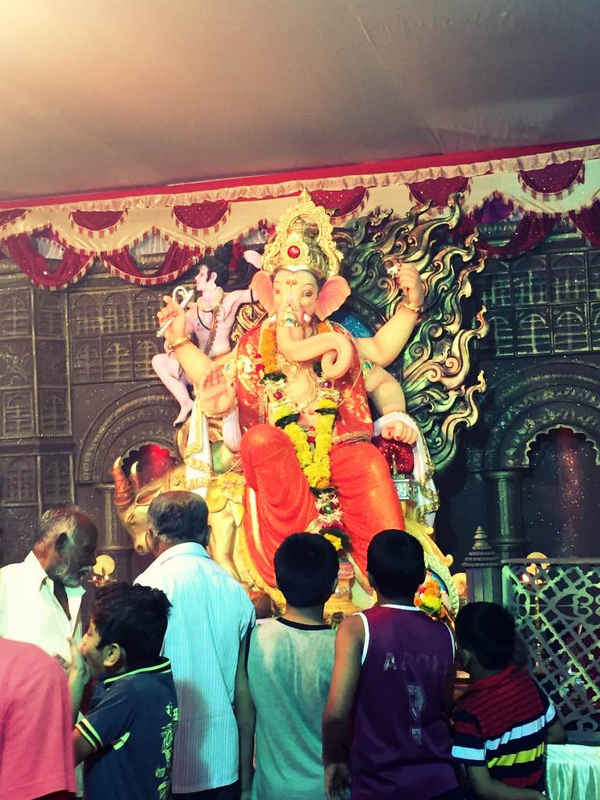 Every year, for the past 3 years now, I have been visiting Mumbai to celebrate Ganesh Chathurthi. Each time, I’m more elated, excited, delighted and happy. 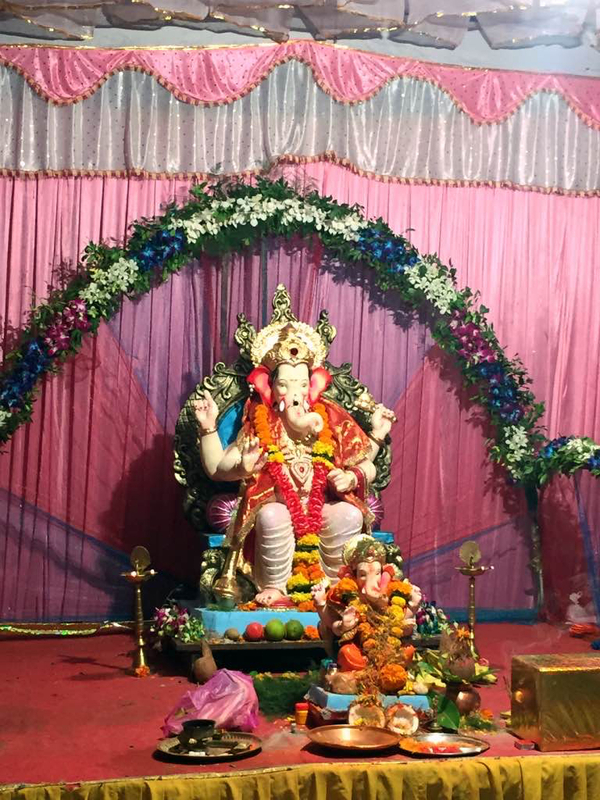 Ganpati festival has always been an “oh-so-special” occasion for me. 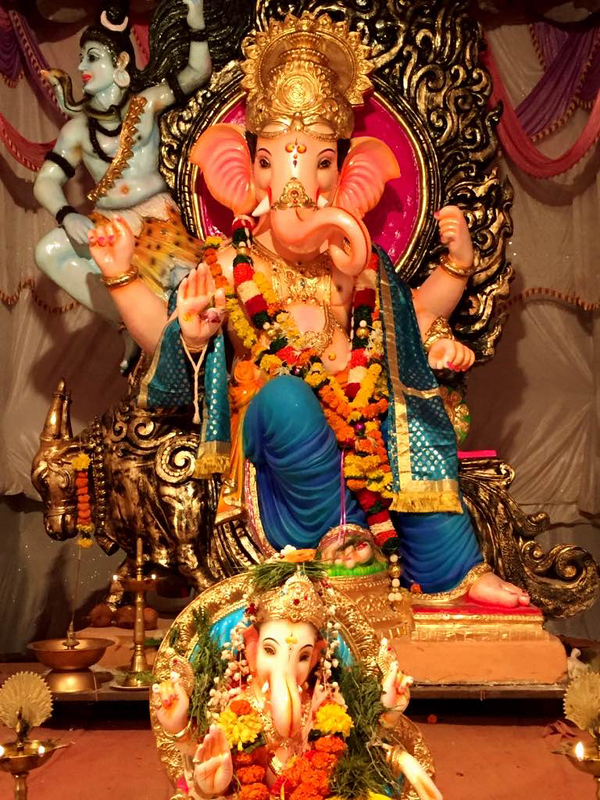 So, when Ganpati Chathurthi is round the corner, I keep waiting to get to Mumbai to witness the awesomeness. 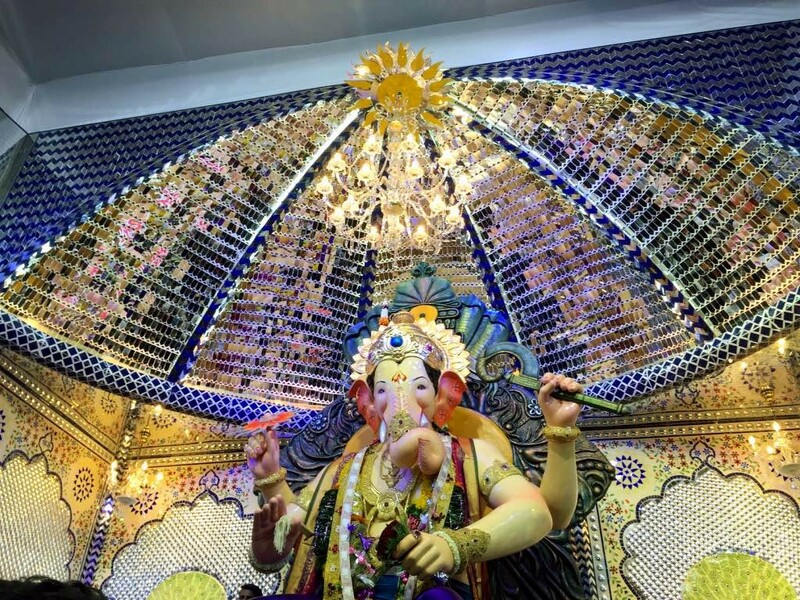 Mumbai is where you need to get to, in case you want to know how festive it can get at the time of Ganesh Chathurthi. It is something I wish and hope everybody can experience atleast once in their lifetime. 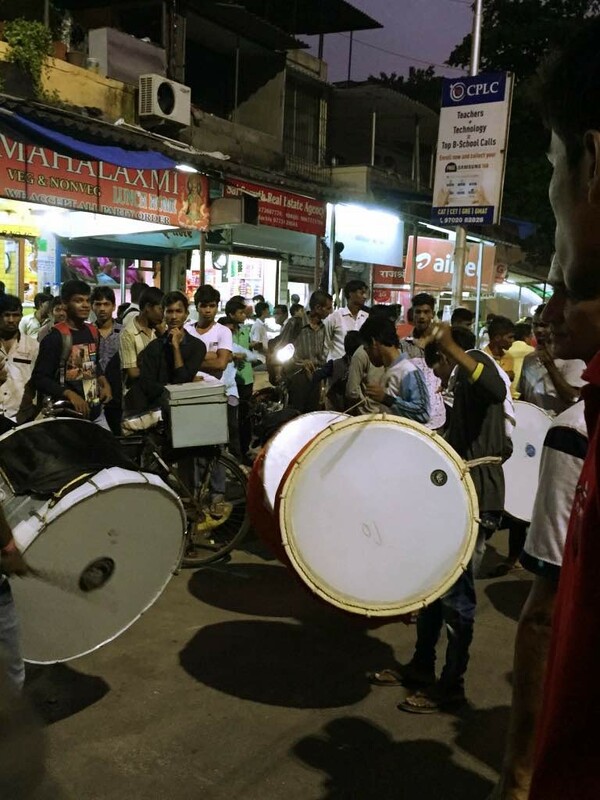 People dance as if there is no tomorrow, dhol and band-baaja are played as if Ganpati is there right in front of them and doggies are also so used to the rituals that they also see the ongoings curiously. Pandals are there in every nook and corner of the city, housing some of the most spectacular Ganpati idols ever. 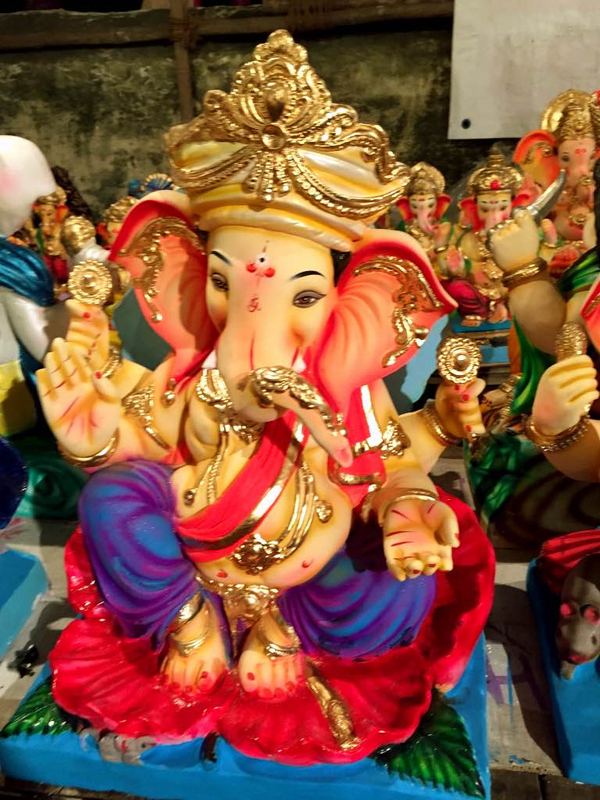 The city streets bustle with the excitement of people shopping for the flowers, modak and all things that are favorite of Ganpati bappa. I am not that much of a crowded place lover. But Mumbai has always been an exception ! I was in some of the busiest places in Mumbai at the time of festival and I enjoyed every bit of it. I was living the experience. I was in the moment with hundreds of others. I was celebrating the festival in the true Mumbaikar sense. There is no bias here among religions and that for me, is so amazing. There is no such thing as Hindus or Muslims. All of them take part to celebrate this festival and I so hope this can be done throughout India ! 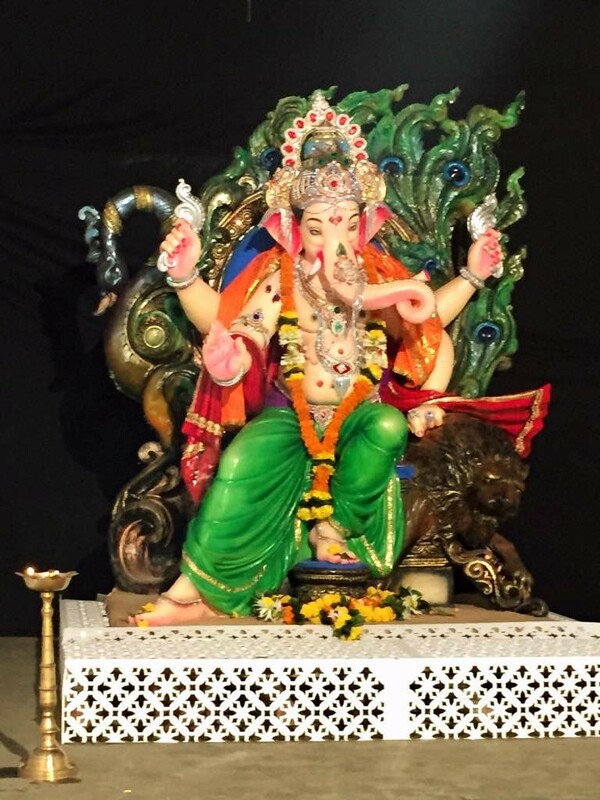 I have special respect for all those artists who make the Ganpati idols. 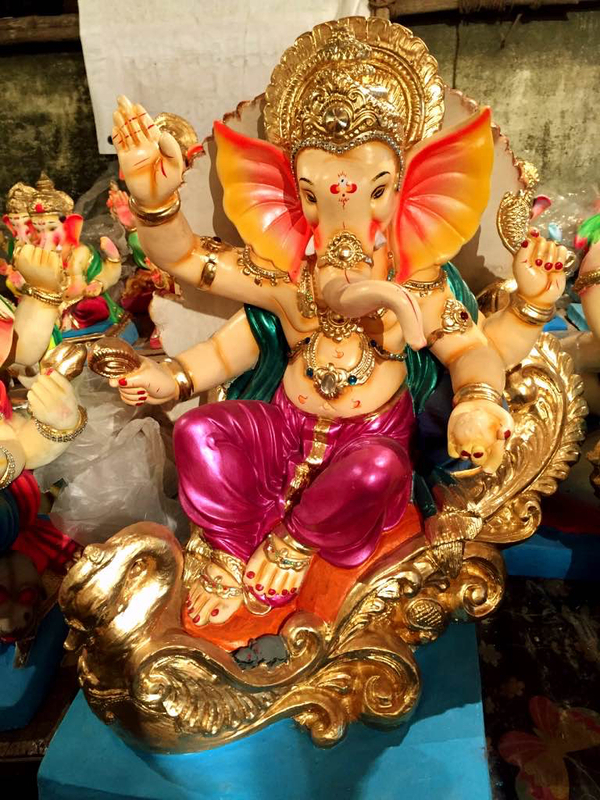 The idols are filled with life, joy and exuberance. 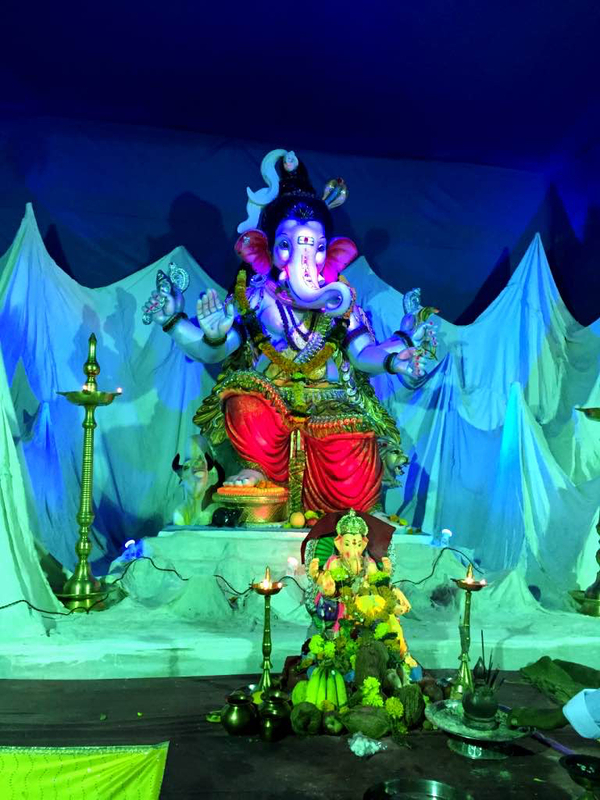 There have been many instances when I have not been able to take my eyes off a Ganpati ! The idols are just so supremely gorgeous and it feels as if you can easily converse with them. 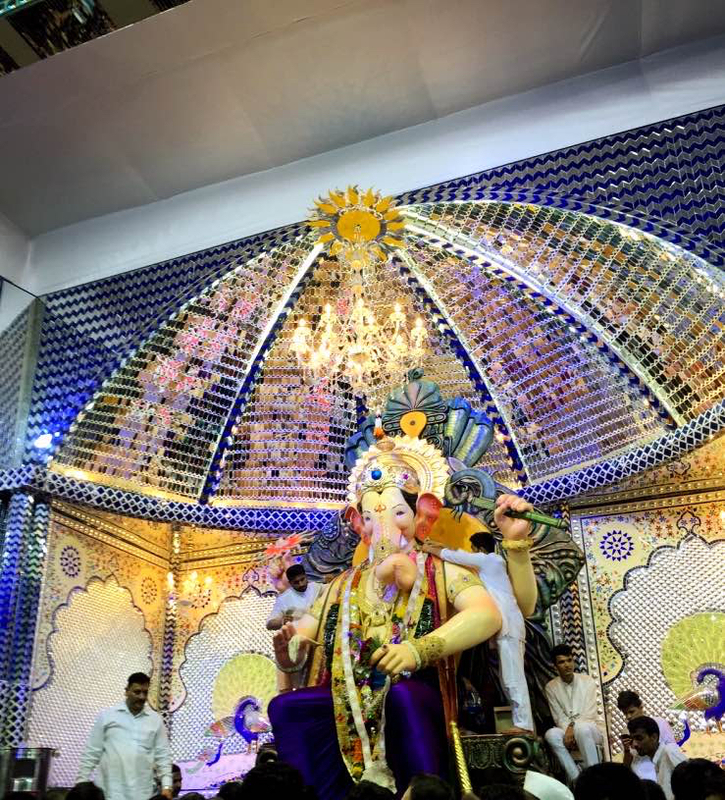 I had the fortune of getting to Lalbaughcha Raja [King of Lalbaugh] to witness the splendor of Ganpati. I was just awe-struck with the way he was brought into life. “Raja” was such an apt name ! 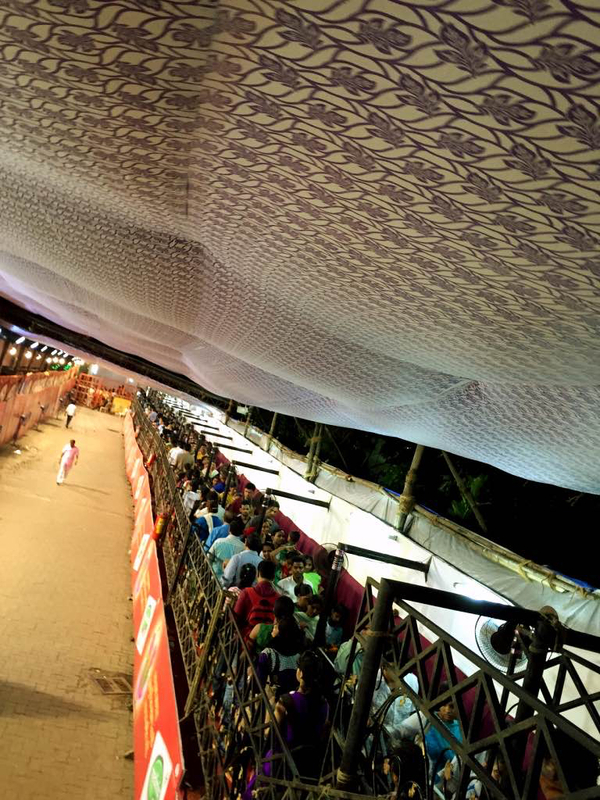 It takes months of organising efforts to put up this Pandal. The queue over here can go on for kilometers together. Some people offer to provide coffee, tea, food to those who are standing in queue for hours together. The Visarjan takes about a day to be completed. 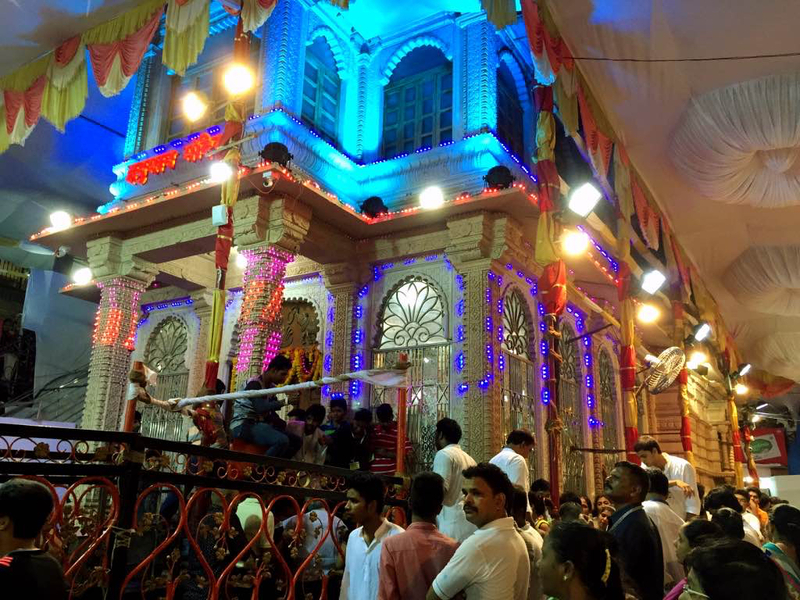 A procession is initiated and this can last upto 24 hours. I just love the dhols here. Being a dancer, I just feel like breaking into dance in the middle of nowhere. The music is so amazing that it can make anybody get up and dance ! I am going to carry another article on Mumbai and the things I love about Mumbai sometime soon. 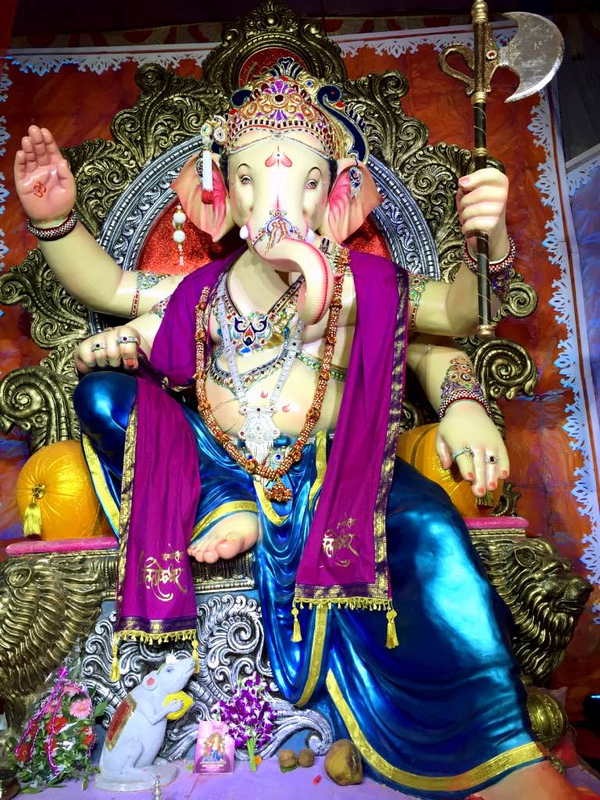 For now, say Ganpati Bappa Morya !! Mangal moorthy Morya !! Hey Surya, Very well described. 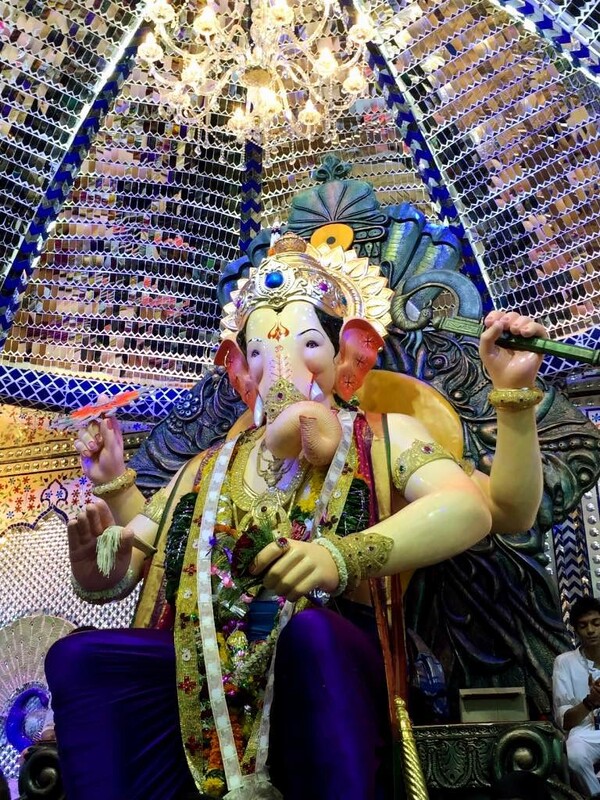 I never happened to visit Mumbai during ganesh chaturthi, but will definitely visit next time. Thanks a lot Swathi for all the encouragement !